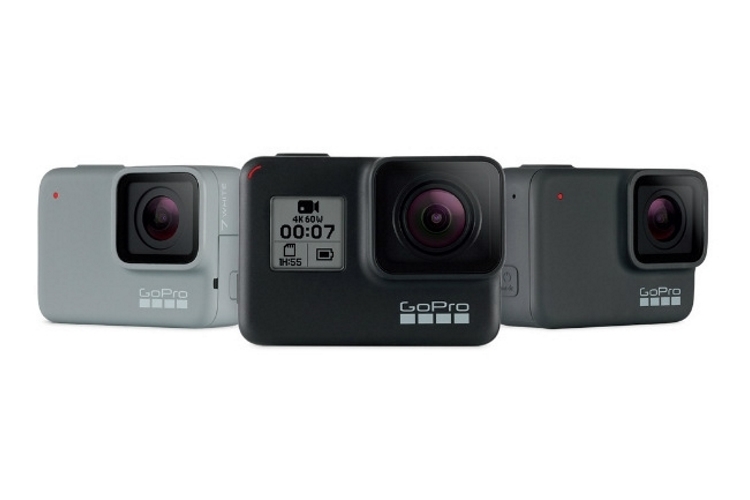 GoPro has launched the Hero 7 series in India, including the Black, Silver and White color variants. The new updated models bring forth slight bumps in the performance and updates to the overall interface. The GoPro Hero 7 White is the cheapest of the lot, selling at Rs 19,000, with the GoPro Hero 7 Silver surpassing it at a price tag of Rs. 28,000. Last but not the least, there’s the flagship GoPro Hero 7 Black that comes with a price tag of Rs. 37,000. The Hero 7 lineup features nearly the same dimensions as its previous series, with all three models coming with touchscreen LCDs and being waterproof. What’s more is that they feature the company’s integrated voice control feature along with the ability to back up footage automatically to GoPro cloud subscription service. The flagship action camera in the series, the GoPro Hero 7 Black is what steals the limelight, thanks to its “HyperSmooth stabilization” feature, which offers Gimbal-like stabilization without the gimbal and even works underwater. The company has also introduced a TimeWarp feature as well which is basically a time-lapse mode that will allow users to shoot fast time-lapse videos. The GoPro Hero 7 Black is, in fact, the first action camera from the company that can live stream to Facebook, Twitch, YouTube, Vimeo, and other platforms. It also comes with the “SuperPhoto” mode that is said to work like smart HDR, quite similar to Pixel smartphones. On the other hand, the cheaper models, GoPro Hero 7 Silver and Hero 7 White feature a smaller 10MP sensor that comes with reduced capture capability, since they don’t use the custom GP1 chip. Hero 7 Silver can record 4K videos at 30fps, while the Hero 7 White can capture at max 1440p videos at 60 frames per second, and are waterproof up to 33 feet. Lastly, the interfaces on all the three models have been slightly tweaked, bringing the ability to swipe left and right to switch between shooting modes.